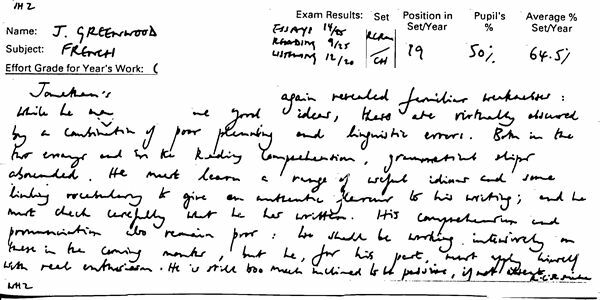 While going through a bunch of old files tonight, I came across this scan of a report card supposedly belonging to Jonny Greenwood. This was sent to us almost 10 years ago by someone who apparently knew the teacher. It could totally be fake, though. Anyone want to take a stab at figuring it out what it says?